A man has suffered scratches to his arm and head after being attacked by a Sumatran Tiger at the Irwin's Australia Zoo on the Sunshine Coast. Senior keeper Che Woolcott was taken by ambulance and treated at Nambour Hospital on Thursday morning following the attack, but has since been discharged with stitches to his left arm and head. 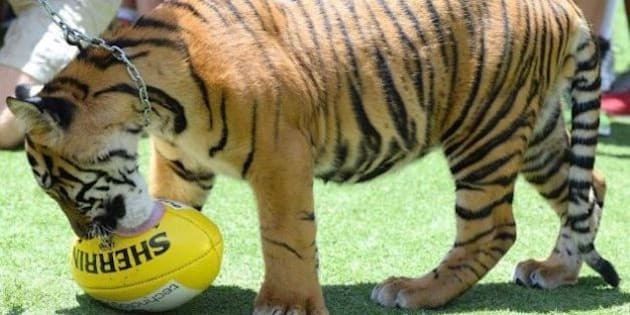 An Australia Zoo spokesperson described the incident as a "playful swipe" from Ranu, the 12-year-old tiger, during a routine morning walk, which wasn't in view of Australia Zoo customers. Head curator Kelsey Engle told media -- in a press conference on Thursday afternoon -- the tiger became “interested in his surroundings and as the guys approached and changed direction he threw out a paw and one of our keepers ended up with a couple of scratches." Terri Irwin first confirmed the incident on Thursday at midday tweeting the tiger became "hot and bothered". Engle said Woolcott is expected to return to work in the coming days and Ranu is being treated with an ice block. Woolcott has worked with tigers for more than 10 years.